Imagine you wake up one fine morning to realize your mobile has abandoned you. I know it is earth-shattering news to cope with. You feel handicapped since your life orbited around it. Such is the impact of mobiles on our lives. Humans, especially Millennials, have reached a phase where life without a mobile translates into the end of life. This sort of engagement with mobiles has lead to the rise of many mobile learning trends in the corporate sector. Let us discuss a few of them here! According to Gartner, by 2017, 90% of corporate organizations will support some form of BYOD. Hence, it is clear that the future of BYOD is bright. 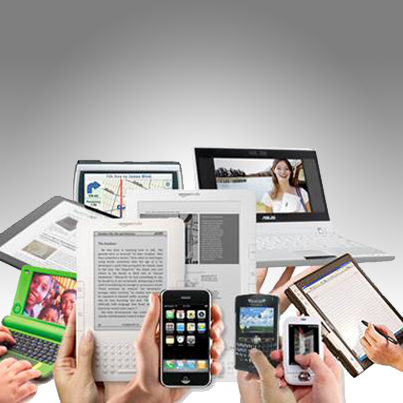 Through the BYOD policy, organizations permit their employees to carry their own devices such as laptops, Smartphones, and tablets to work. This sets the stage for online training in a cost-effective manner as the companies need not provide devices to their employees. This policy works well, specifically for organizations with a global workforce, since equipping them with a gadget is a costly affair. Another advantage of BYOD is that employees learn better as training is delivered on their personal devices with which they are comfortable. Though BYOD seems to be a promising mobile learning trend, it’s not immune from risks such as data leakages, malware infections, security breaches, etc. Organizations need to ensure the devices used by their employees are secure and company data is protected. They need to check whether their infrastructure is framed to handle workforce mobility.They can enforce the acceptable use of policies and procedures to keep data secure. These policies and procedures should be clearly and explicitly conveyed to employees along with the consequences they may face if they violate those boundaries. According to the eLearning Guild (2013), learners had 14% higher skill-based knowledge level, 11% higher factual-knowledge level, and 9% higher retention rate, as per a meta-analysis of the instructional effectiveness of computer-based simulation games. Gamification is a learning strategy offering interactive experiences that actively engage and motivate learners in the learning process. Due to its immersive nature, this learning strategy accelerates learning and enhances knowledge retention. 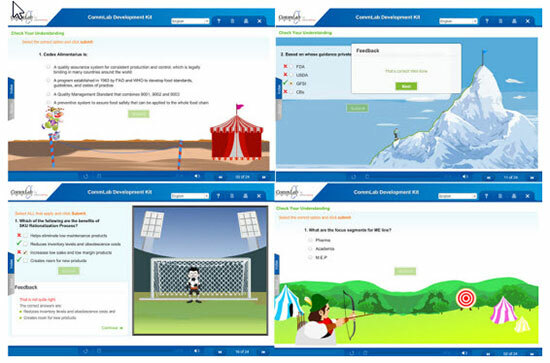 So, you can use mobiles to provide gamified quizzes or assessments as they are engaging, fun-filled, and convenient. This contributes in assessing learners’ performance and reinforces their learning too. Tapping the potential of gamification on mobiles is a rising trend. Also known as Experience API (xAPI), Tin Can API is the latest e-learning standard in learning technology that can record learner activities and deliver data that is measurable, sharable, and trackable. It can track activities such as simulations, mobile learning, real-world activities, serious games, social learning, offline learning, etc. You can use authoring tools (Adobe Captivate, Adobe Storyline, and Lectora Inspire) to produce content compatible with xAPI. 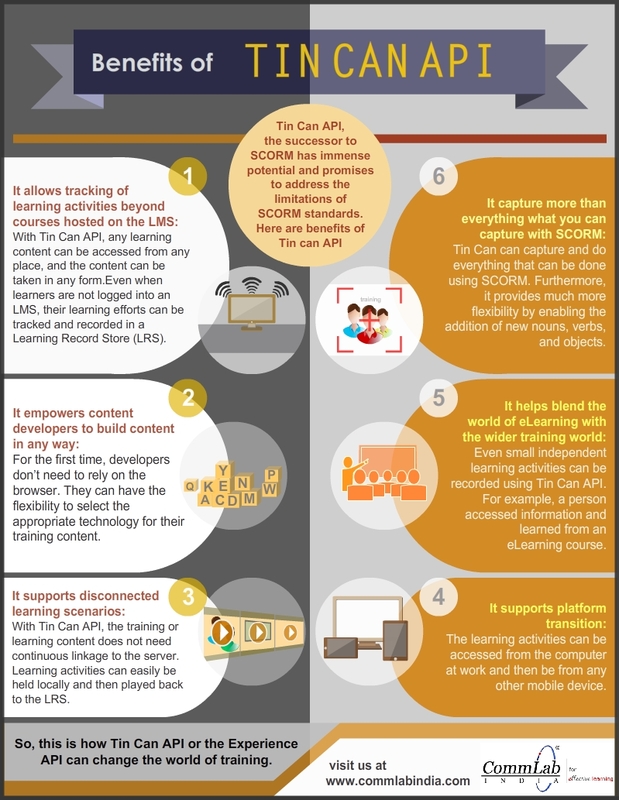 You can even allow your LMS to adopt the Tin Can API to avail its benefits as did Moodle and Blackboard LMSs. 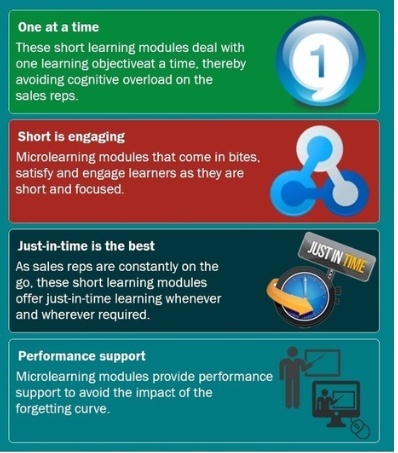 As the name suggests, it is learning imparted in bite-sized modules that deal with one or two learning objectives. They provide just-in-time information to your on-the-go workforce, just when they need it. What best way to deliver these small learning units than through mobiles that are handy to your mobile workforce. For instance, these can be micro modules on product features developed for your salesreps’ ready reference or ‘how to enter client details in the Enterprise Resource Planning (ERP)’ for your ERP end-users or can even be reminders sent to manufacturing sector employees to maintain their equipment in sound working condition for an optimized business outcome.So, Microlearning paves the way for mobile learning and makes it easier. All mobile devices have in-built Global Positioning System (GPS) and this enables location-based learning. Mobile learning delivers granular information to your workforce and you can further personalize it based on your employees’ location. The training content can be delivered based on the geographical location of the device. For example, if your employee’s jobsite is in a hilly region, he will receive safety precautions and personal protective equipment information specific to his location on his mobile.Similarly, if he is in a rainy region, he’ll receive information that suits his requirement. It’s an upcoming trend that seems to have potential in the mobile learning world. Now that you had a rendezvous with the current mobile learning trends – BYOD, game-based learning, Tin Can API, microlearning, and location-based learning, what holds you back from welcoming mobile learning into your organization? Wish to add more on mobile trends trends? You are most welcome!